The stamp shows the White House and its architect, James Hoban. It looks like the cancel shows the Pennsylvania capitol dome with a background of the outline of the state of Pennsylvania. I am not sure what that has to do with the White House, since the White House is not in Pennsylvania, although Hoban was a resident of Philadelphia for a while. My Mom found this card while cleaning out the attic. A quick search online reveals that the Benjamin Franklin Stamp Club was a program by the US Postal Service to encourage young people to become involved in stamp collecting. The Clubs were formed and met through elementary schools. Given the age of this card, I would guess that it was my sister who was part of the club, as I would not be born for another 7 years after this postmark. The stamp has a cut-out of Hitchcock’s famous silhouette. 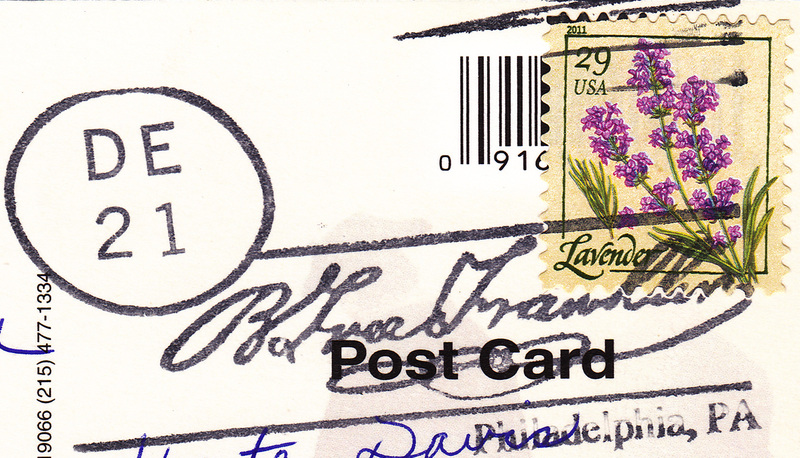 I love when senders use old or unusual stamps on cards, especially from the USA. 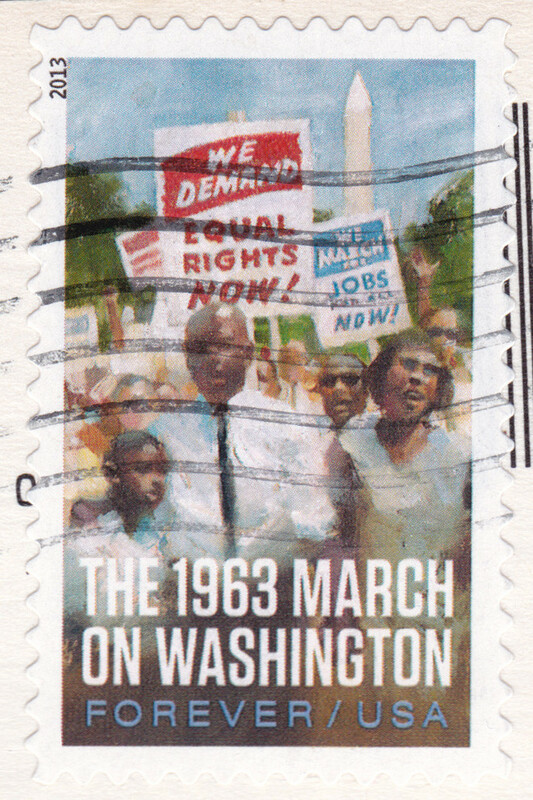 There are so many beautiful, interesting stamps, and it is nice to see something other than the regular definitives. Thanks, Postmuse! 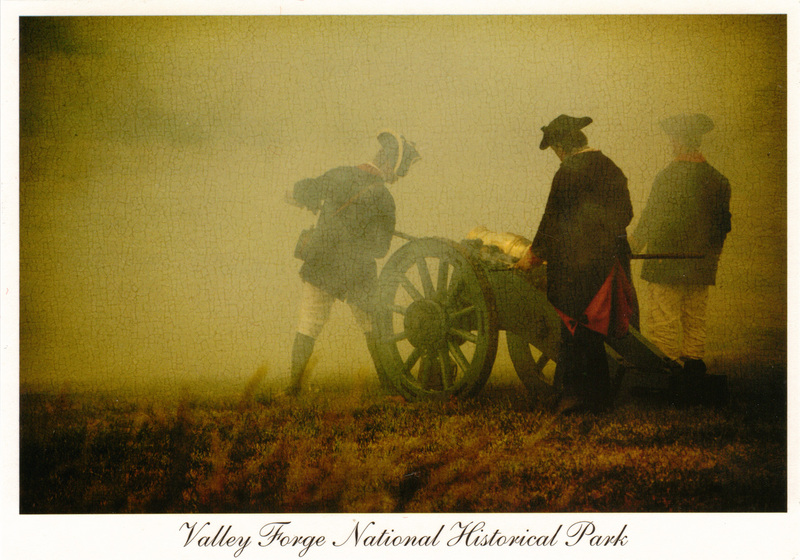 The Hall was constructed between 1732 and 1756 and served as the State House for Pennsylvania. It is famous for being the site where both the Declaration of Independence and the Constitution were debated and written. For a long time, it also housed the Liberty Bell, the cracked bell that is a symbol of American independence. My UNESCO collection is coming along well. Right now I am trying to put them all together in a nice binder, so that they will be protected but I can still flip through and look at the cards. 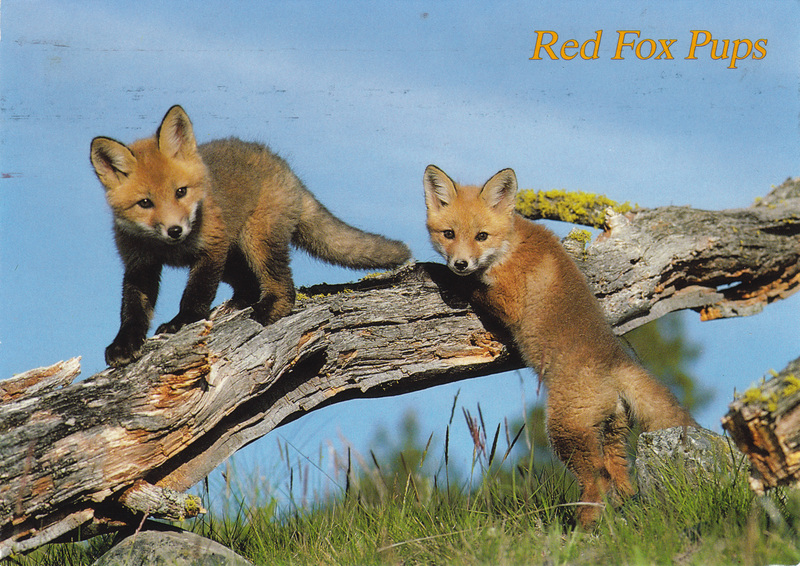 As you probably know if you’ve been reading a while, I really like animals and I love to get animal postcards. Here is a collection of animal cards that I’ve received lately. Chantal sent this card, and she writes that she like French fries and macaroni. So do I! The dog reading his (or her) calendar looks pretty stressed. That’s how I feel sometimes when I look at my calendar. My mom used the printable postage from a kiosk for this card, and they are usually pretty boring, but this time it has a cute Mr. ZIP on it! In case you don’t know, Mr. ZIP was the mascot of the ZIP (Zone Improvement Plan) code system implemented in the 1960s. Mr ZIP was a friendly reminder to include the ZIP code on all mail to speed its processing and save the USPS some money. Finally, there is a card from Juste in Lithuania showing the Western Capercaillie, or Tetrao urogallus. This bird lives in Dzukija National Park and is known for its elaborate mating dances and rituals. Juste kept up the bird theme with a stamp showing the corn crake, Crex crex. 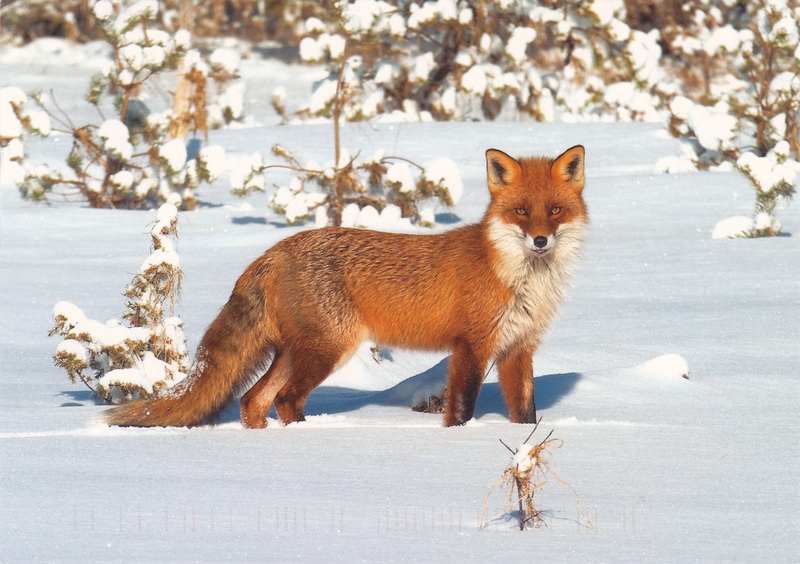 That is all for animals for today, although looking through my cards I see that I have so many more! 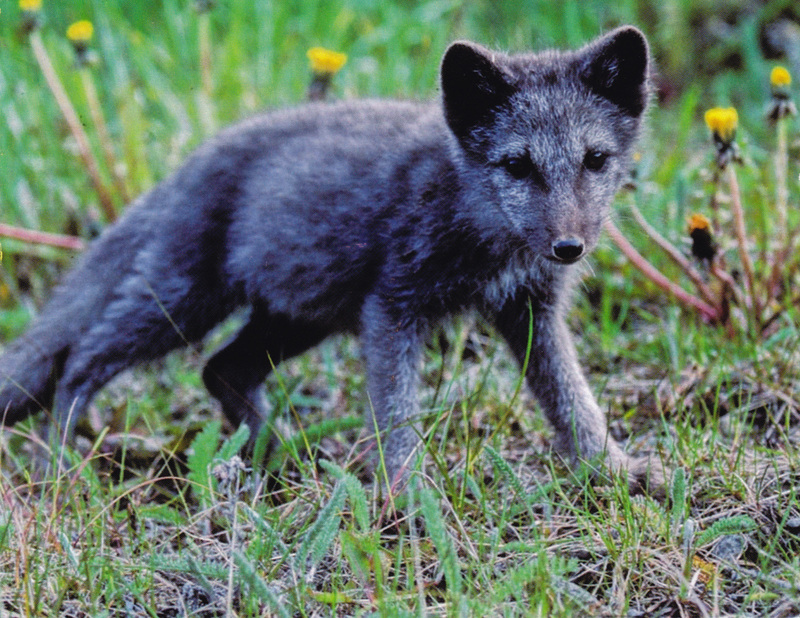 Do you have a favorite animal, or at least one that you like to collect postcards of? I have quite the collection of penguins and foxes, but I also love dogs and cows! Today I’m headed back home to Pennsylvania for a spell. I won’t be away from Oregon long, since I have another final still left and, of course, moving into summer housing and starting my summer job. First is Frank Lloyd Wright’s masterpiece of Fallingwater. There’s a good reason why it’s on the UNESCO tentative list: this house is gorgeous and integrates the living space with nature so seamlessly. If it weren’t for the tourists, you might not notice that there’s a house there at all. 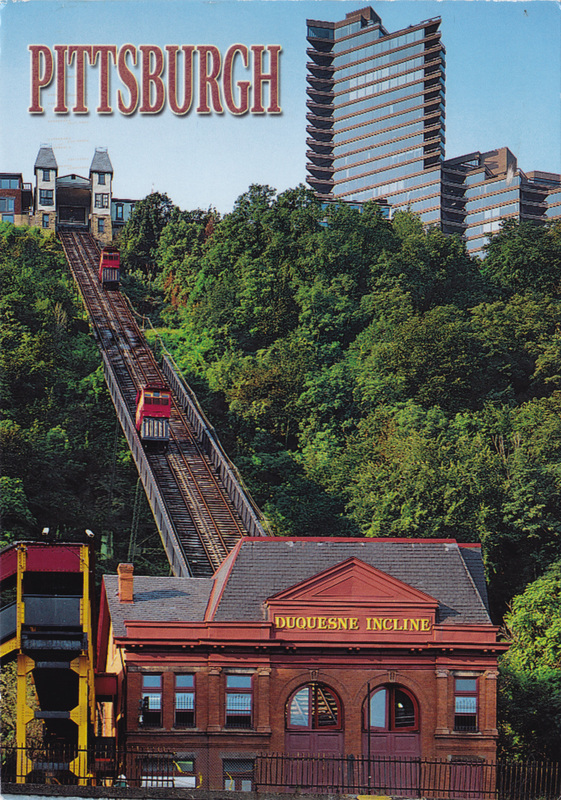 Right in the city is the Duquesne Incline, one of two inclined railways left in Pittsburgh. In addition to having many bridges, Pittsburgh has many tunnels and hills that go straight up. I unfortunately didn’t have a chance to ride the Duquesne Incline on my last trip to Pittsburgh, although it was on my list. Luckily, I don’t think that my last trip will be my final trip there. Pittsburgh is a nice city; I’d be happy to return.